Primus washers are long-lasting and reliable, but even they are prone to malfunctions and breaking. Having you washing machine up and running 24/7 is important, that’s why you need a quick repair. While third-party services are expensive, warranty maintenance takes much time. Repairing the washer yourself is the best idea. It’s possible when you have correct instructions at your fingertips. 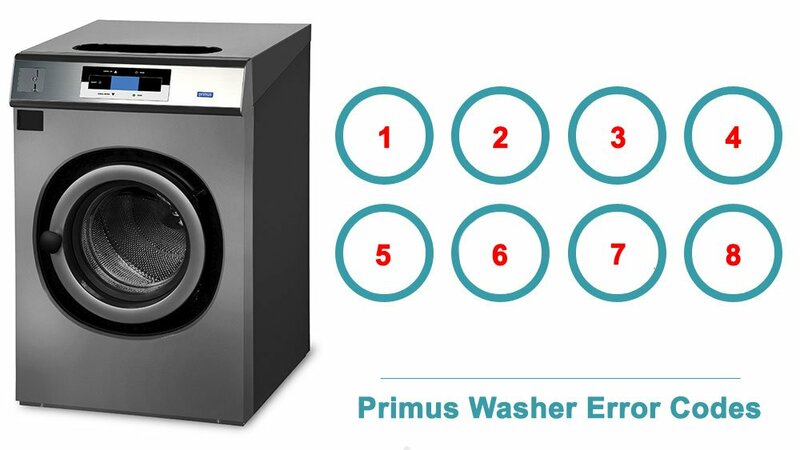 The tables below are troubleshooting guides for different models of Primus washing machines. They enlist the most widespread technical problems, things that might have caused issues, and ways to solve them. They are provided by the official manufacturer and are comprehensible even for an average user. Besides, step-by-step instructions also feature error codes for washers. If you see the device displaying some certain numbers or a combination, you will be able to identify the problem quickly by checking it in these tables. If there’s no model of washer you use, keep in mind that washers of one series are likely to have the same error code set. Most of these instructions are easy to follow even if you aren’t a tech-savvy user, they are provided by Primus. However, if you face some challenges during the repair process and cannot fix the appliance, don’t hesitate to contact the repair service center – only professionals can deal with severe construction damages and software faults. "0000" is flashing at the top right of the display The machine has not spun 1. The machine has a built-in imbalance sensor that reduces the speed or prevents spinning if the load is poorly distributed. Switch off the power switch, then switch it on again. Open the door and redistribute the load.